Seasonal times Closed Dec 24–28 & Jan 1. The museum is housed in the Victorian Dock Offices designed by Christopher G Wray and originally opened in 1871. Inside there are exhibits documenting Hull's maritime activities from the late 18th century to present including a full-sized whale skeleton, ship models and artefacts from Hull's whaling, fishing and merchant trade. There are limited pay and display car parking bays nearby. The nearest council car parks are Osbourne Street multi storey car park and Lowgate pay and display car park on Wilberforce Drive. 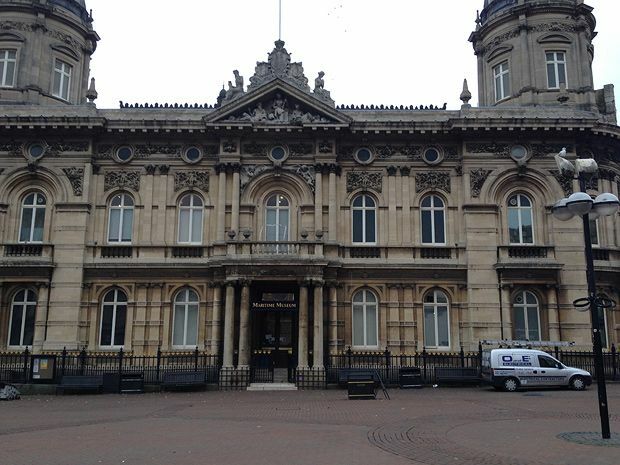 There is a secure covered cycle parking facility opposite, just outside Hull City Hall.